3.7 out of 5 based on 9 bloggers and 0 commenters. 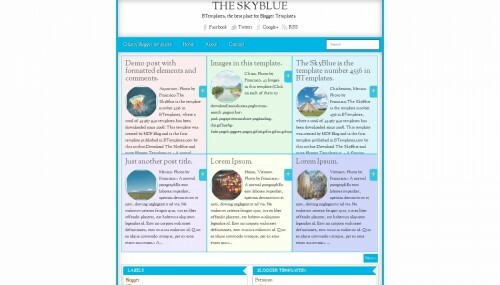 The SkyBlue is a free blogger template with 3 columns, responsive design, an exclusive design for Blogger, footer columns, social bookmarking icons, posts thumbnails, breadcrumbs, related posts support, well designed threaded comments, 404 error page customized and simple look. Excellent template for blogs about anime, crafts or to write a diary.